It is rare that an actual emergency occurs at school. In my ten years of teaching, I can remember a small smoke incident in the school kitchen causing us to have to evacuate the building and one lock down, nothing serious just taking precaution. As for weather, I live in Southwest Missouri so tornadoes are our threat and cause us to take shelter every so often. I don’t know about you but there are times when my desk may not be in tip top shape. 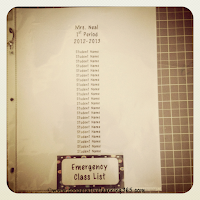 When we are participating in a drill or in the case of a real emergency I don’t want to have to worry about finding my class list on top of keeping my students safe. 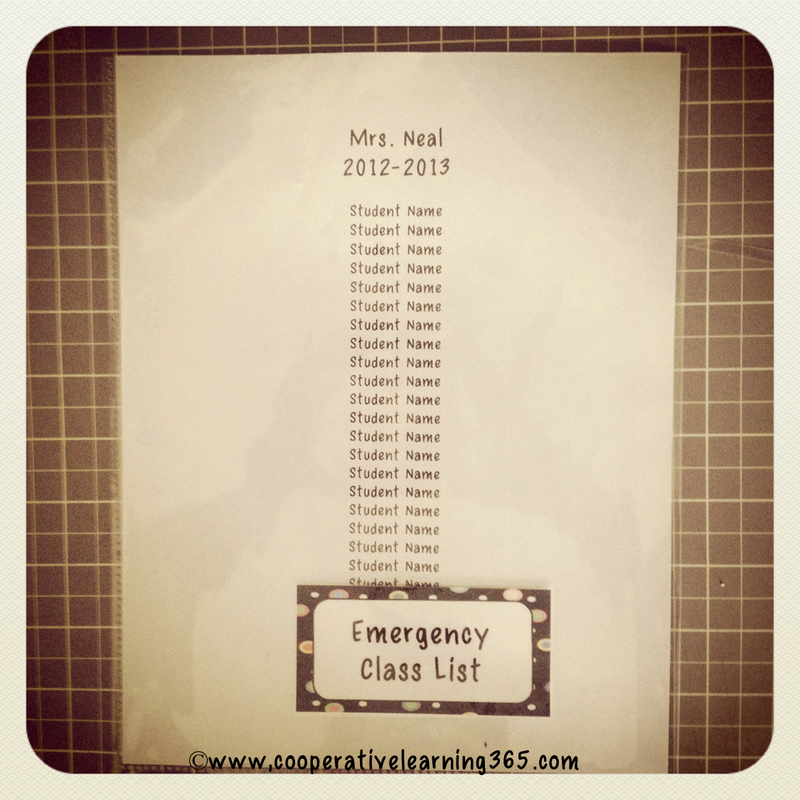 This is always on my beginning of the year to-do list, I create an “Emergency Class List” and place it right by my door. 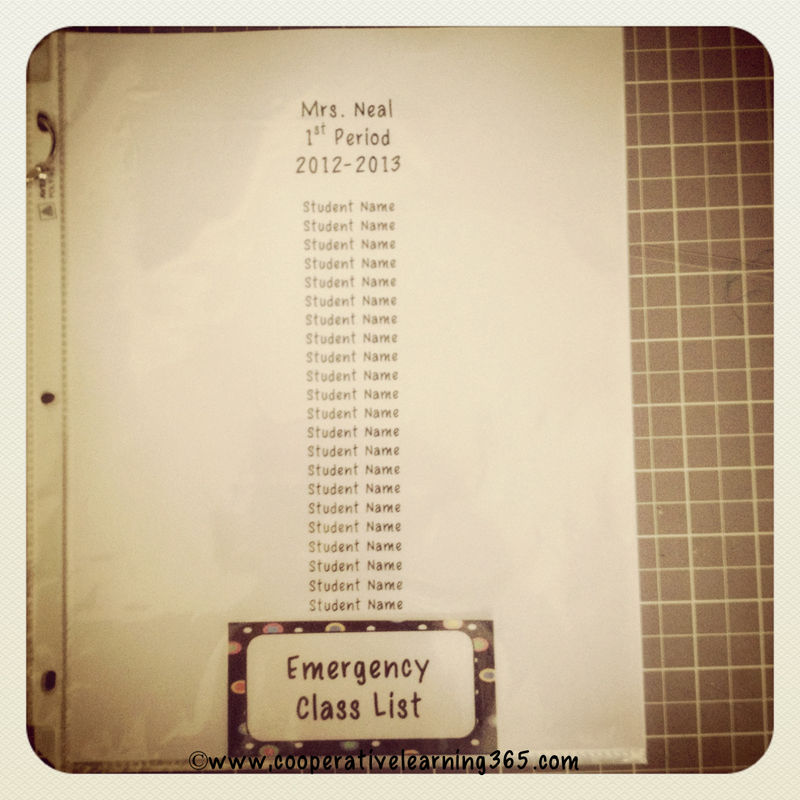 I place a class list inside a page protector. I have thought about laminating it, but as we all know our class list may change during the year with students leaving or coming in. The page protector allows me to be able to change out my list if needed. 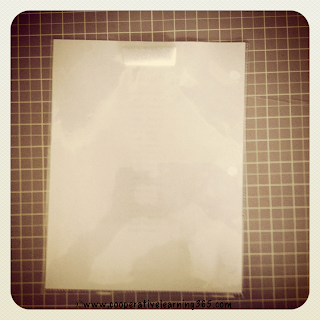 The last thing that I do is place a piece of velcro on the back of the list and attach it to my wall beside the door. I have found the velcro to be the most dependable. This coming school year I am making a change, and a change it will be. I will be teaching 6th grade and will be departmentalized. So instead of having one class list I will have several. Here is a look at what I am planning on doing. Same idea, but a list for each class and placed on a ring. 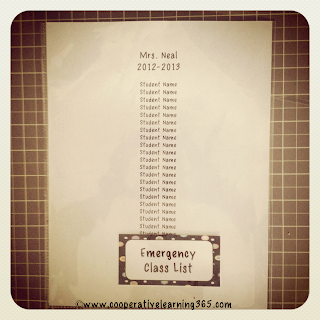 If the bell sounds for a drill or an emergency, my class list is always in the same spot and next to the door ready for me to snag. 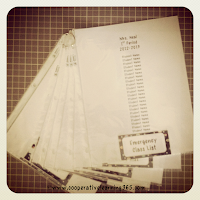 How do you plan for emergency situations?